I am the founder and publisher of Guiding Mast Investments monthly newsletter, focused on timely dividend paying stocks. In addition, my services include a review of individual portfolios along with education of portfolio management techniques. I have been a Registered Investment Advisor, financial author, and entrepreneur. I bring a variety of expertise to my clients, from personal investment planning and management to stock market analysis skills. I am the creator of the investment newsletter Power Investing with DRIPs focused on timely selections of dividend paying stocks. 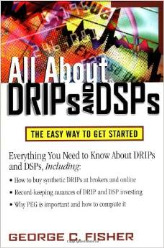 I have also published two books through McGraw Hill, All About DRIPs and DSPs, and The StreetSmart Guide to Overlooked Stocks. My work experience covers a variety of fields.Prior to being a RIA, I spent 15 years as a corporate manager at Georgia-Pacific Corp before venturing out on my own, operating several businesses from manufacturing to export marketing management. President Ronald Reagan appointed me to the National Advisory Council overseeing the Small Business Administration from 1988 to 1991. Now comes the obligatory disclaimers: The opinions and any recommendations expressed in this commentary are those of the author . None of the information or opinions expressed in this article constitutes a solicitation for the purchase or sale of any security or other instrument. Nothing in this commentary constitutes investment advice and any recommendations that may be contained herein have not been based upon a consideration of the investment objectives, financial situation or particular needs of any specific recipient. Any purchase or sale activity in any securities or other instrument should be based upon your own analysis and conclusions. Past performance is not indicative of future results. The information contained in this report does not purport to be a complete description of the securities market, or developments referred to in this material. The information has been obtained from sources considered to be reliable, but we do not guarantee that the foregoing material is accurate or complete. Any information is not a complete summary or statement of all available data necessary for making an investment decision and does not constitute a recommendation. Expressions of opinion are as of this date and subject to change without notice. Either Mr. Fisher or his employer, if any, may hold or control long or short positions in the securities or instruments mentioned. Using Morningstar's premium stock screening tool, I've identified eight higher yielding stocks that are well liked for current undervaluation and offered above average historic dividend growth. NNN offers steady distributions with a risk profile that is lower than mall operators. The current weakness is a buying opportunity for income investors. Enviva Partners (EVA) is a new MLP with a juicy 8.3% yield and is the largest global producer of utility-grade wood pellets used in power generation. The real value in BRK.B lies in its base business as an insurance company and the non-traditional (for an insurance company) investments it makes with its substantial cash flow, also known as the insurance float. This article was first published in the May 2015 issue of Guiding Mast Investments newsletter. Thanks for reading and posting your comments. Glad you found the article useful. PNY Piedmont Natural Gas Co Inc.
RICK Rick's Cabaret International Inc. Description: Today's stock market is filled with highpotential companies that, for one reason or another, have slipped beneath the radar screens of analysts and money managers. 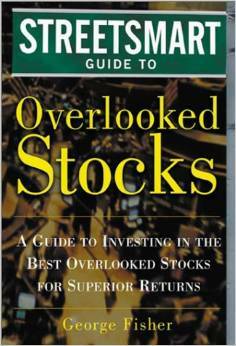 The Streetsmart Guide to Overlooked Stocks outlines a simple yet effective approach for uncovering these outstanding opportunities ahead of the pack. 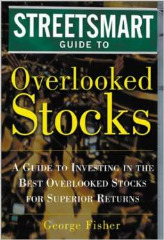 It shows readers how to find investment gems through: Fundamental research and management analysis Understanding underlying market trends Quantitative analysis of stock price value This latest addition to McGraw-Hill's popular Streetsmart series provides indepth analyses of 30 actual companies that have remained a secret­­but are destined to be discovered.